33 to 28. It may look like a football score, but it’s actually the downsizing of the Republican side of the Climate Solutions Caucus. Rep. Darrell Issa (R-CA-49) this morning announced he’s not seeking an eleventh term representing northern coastal areas of San Diego County in Congress. He joins departing GOP caucus members Ileana Ros-Lehtinen (R-FL-27), Dave Reichert (R-WA-08), Ed Royce (R-CA-39) and Pat Tiberi (R-OH-12). Unless new members are recruited from current House ranks, the caucus’s roster of Republican members is set to fall from its current 33 to 28 by year’s end. The pending 15 percent shrinkage surpasses the overall 9 percent retirement rate among Republican House members this year. (We count 21 of 240 House R’s leaving, excluding a dozen or so moving or aspiring to higher office, based on Ballotpedia.) GOP Caucus members disproportionately represent swing districts, like Issa’s, possibly explaining the difference. The Noah’s Ark-like conclave — Republican and Democratic Congressmembers enter as pairs, with Republicans the limiting factor — was founded in Jan. 2016 to provide a safe space and political cover for timorous Republicans to act on climate change. To date it’s been mostly cover and little action. None of the Republican members have uttered a word in favor of carbon taxing, even the intendedly Republican-friendly “fee and dividend” espoused by the caucus’s catalyst, Citizens Climate Lobby, or the carbon dividend proposal devised by the Climate Leadership Council and advanced by Republican elders. Since Trump took office, moreover, none has fought legislation or deregulation enabling the administration’s fossil fuel juggernaut, save for squelching language in the National Defense Authorization Act that would have barred the Pentagon from analyzing climate threats to U.S. military installations. It may seem incongruous that Issa, whose lifelong loathsomeness (full details at Wiki) has run the gamut from petty thievery and dangerous driving to obsessive Obama-bashing, not to mention amassing riches from his blaring, motion-detecting “Viper” car alarm, would have joined the Climate Solutions Caucus. There is no entrance criterion, however. That can be viewed as either a bug, enabling joiners to rack up green cred at no cost, or a feature, helping Republicans who might be seeking to exit the cult of climate denialism incubate pro-climate words and, eventually, deeds. Defenders of the caucus also point to victories like inclusion of renewable energy credits (RECs) in the Tax Extender Act of 2017 (S-2256), pleas by Rep. Ryan Costello (R-PA-6) and other caucus members to bar oil drilling in U.S. coastal waters or the Alaska National Wildlife Refuge, and a vote by 11 caucus Republicans that ultimately led the Senate to protect the Bureau of Land Management’s natural gas waste rule to prevent methane venting/flaring. Measured against the full dimensions of the climate crisis, however, these appear little more than baby steps. And measured against Trump’s drumbeat of deregulatory and verbal assaults on climate protection and policy, like his dizzying attack of falsehoods today on the Paris climate agreement, the positive moves by GOP caucus members pale even further. Nevertheless, Issa and the caucus’s other lame-duck Republican members have a rare opportunity: a full year still in office to speak their minds on climate (or other issues) without fear of being primaried by unabashedly denialist insurgents. They could push back against Trump’s climate lies and call on their party to assume its Rooseveltian mantle of environmental stewardship. In doing so, they could set a standard for their 28 Republican colleagues who hope to keep their seats and, by their caucus membership, have ostensibly committed themselves to pursuing climate solutions. Let’s hope they do. Otherwise, it becomes even harder to rebut the argument that the path to a better and safer world requires a Democratic sweep of the House, including Republican caucus members, in this year’s midterms. I wish we would just talk about a carbon tax, 100 percent of which would be returned to the American people. So there’s no net dollars that would come out of the American people’s pockets. Not everyone back then viewed Corker as a straight shooter. Grist blogger David Roberts lambasted him for “talk[ing] his way inside the carbon policy tent and now … trying to burn it down” by diverting support from cap-and-trade. But the New Republic’s Brad Plumer insisted that “Bob Corker [is] making sense … for a fruitful conservative position” that’s revenue-neutral and transparent. (Roberts now blogs for Vox while Plumer writes for The New York Times.) Indeed, it’s not much of a stretch to credit Corker’s 2009 words as the launch pad for the Citizens’ Climate Lobby’s fee-and-dividend idea and its recent offshoot, the Climate Leadership Council’s carbon dividends approach. Trump has also repudiated the Paris climate agreement and taken steps to annul the Obama Clean Power Plan and to greenlight fossil fuel development across North America. Humankind now is staring at not one but two “apocalyptic twins,” in Lifton’s words: a nuclear threat and a climate threat. 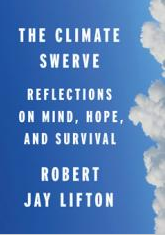 Both the parallels and differences between the two are the subject of Lifton’s new book, Climate Swerve, which appears in the immediate wake of climate furies that have devastated Houston, Puerto Rico and Northern California. Lifton, a psychiatrist who turned 90 last year, has long observed, lived among and written about the perpetrators and victims of some of the 20th Century’s most profound atrocities — the atomic bombings of Japan, the Vietnam War and, of course, the Nazi Holocaust. His writing humanizing the hibakusha (literally, “explosion-affected people”) of Hiroshima and Nagasaki and his explorations of the “malignant normality” embodied in the Cold War policy of “mutually assured destruction” galvanized public and political support for both the Kennedy-Khrushchev 1963 ban on atmospheric nuclear weapons testing and the Reagan-Gorbachev 1987 agreement eliminating short- and intermediate-range nuclear missiles. 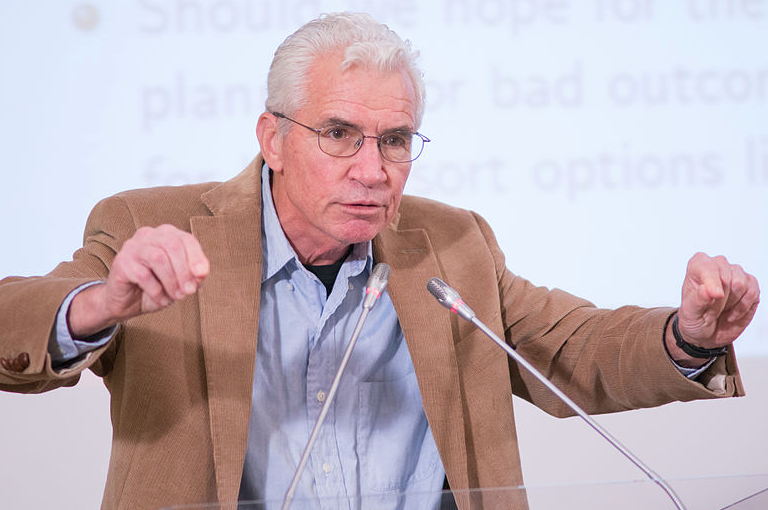 It was only recently, however, that Lifton turned his attention to climate change. His brand-new book, eloquent and spare, has two tracks. In one he encourages what he calls the climate swerve — humanity’s “evolving awareness of our predicament” as we collectively cause, and face, climate ruin. In the other he seeks to bring to climate consciousness his perspective on what was, at least until this year, mankind’s turn from the brink of nuclear ruin. Nuclear and climate threats are separate and different from each other. With nuclear weapons, the mind must contemplate specific things — bombs that bring about revolutionary dimensions of blast, heat, and radiation. The imagined catastrophe is immediate and decisive, and the atomic bombing of Hiroshima and Nagasaki provides a model of unprecedented slaughter and suffering. With climate threat, the mind encounters no new physical entities or things, but rather an incremental sequence of an increasingly inhospitable habitat, a progression rather than an explosion, and a series of projections of what can be expected, as opposed to a clear display of ultimate destruction. Climate images have never been able to convey our full planetary danger until now. The extraordinary recent four-punch sequence of hurricanes … threatened the lives of millions of people, obliterated their homes and has raised doubts that some places will ever recover … The hurricanes … provided imagery equivalent to the danger, imagery equivalent to nuclear disaster. When we viewed photographs and film of the annihilated cities of Hiroshima and Nagasaki, we sensed that the world could be ended by nuclear weapons. Now these hurricanes have conveyed a similar feeling of world-ending, having left whole islands, once alive in their beauty and commerce, in ruin. While there may not be a direct line from Lifton’s op-ed to Corker’s speaking out, both of their testimonies are proof that we’re not hostages. We still have voices, and both the advance of climate ruin and the renewed chances of nuclear ruin require that we raise them. Republican voices like Corker’s are especially critical, but anyone with power and a pulpit shouldn’t hesitate to use them. And for the rest of us, a letter to our local paper, a Facebook post, or plain old face-to-face sharing can help others grasp the gravity of the risks we are living with and how we can overcome them. A prominent Minnesota politician is hitching her candidacy for governor to a carbon dividend plan designed to reduce climate-damaging emissions and create jobs in clean energy. 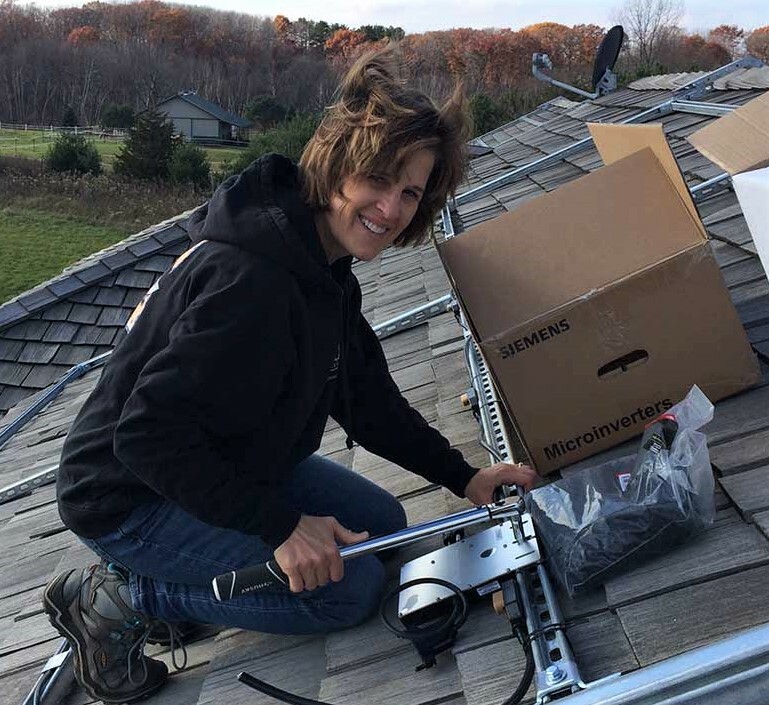 State auditor Otto hopes that, as governor, she can solarize Minnesota more than one roof at a time. 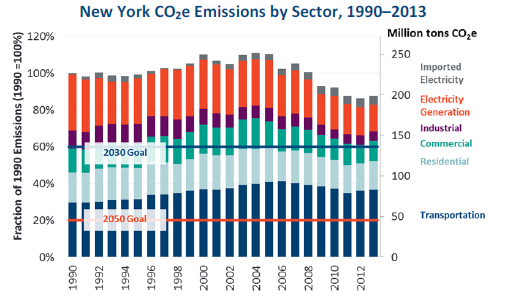 Otto’s plan is centered on a carbon charge that would begin at $40 per metric ton of CO2 and increase by 10% each year — a trajectory steep enough to cut carbon emissions by almost 30 percent (below 2005 levels) within a decade if applied nationally, according to CTC’s carbon tax model (Excel file), though not as much if applied only in a single state. Three-fourths of the carbon revenues from Otto’s proposal would fund “Quarterly Clean Energy Cash Dividends” that Otto estimates will pay $600 a year to every Minnesota resident, with the dividend growing in tandem with the rising carbon price. The remaining 25% of the new revenue would fund “Clean Energy Refundable Tax Credits” for up to 30% of the cost of household energy-efficiency investments including electric cars, solar panels, triple-pane windows and insulation, and heat pumps. The tax credits will “create tens of thousands of good-paying new private-sector jobs — often paying more than $80,000 per year — in every community across Minnesota,” Otto says, with “the work able to be financed with no money down” in many cases. The 54-year-old Otto is one of six aspirants to the nomination of the state Democratic-Farmer-Labor Party, as the Minnesota Democratic Party organization has been known since the 1940s. Others include a U.S. Representative and the Mayor of St. Paul. Local newspapers suggest as many as a dozen Republicans may also contend to replace Gov. Mark Dayton, the two-term incumbent who is not seeking re-election. The race is viewed as “wide open” by Carleton College political scientist Steven Schier. An Illinois native who now lives in the small town of Marine on St. Croix, northeast of the Twin Cities, Otto is serving her third consecutive four-term as state auditor. In 2006 she handily defeated the incumbent Republican, then won by a squeaker in 2010, becoming the only Democrat ever re-elected to the office. In her 2014 re-election she won by her widest margin to date, outpacing Gov. Dayton by six percentage points. Otto’s plan is a variant of the fee and dividend approach espoused by the non-partisan Citizens’ Climate Lobby and, more recently, the Republican-leaning Climate Leadership Council. It charges fossil fuel providers a fee pegged to their fuels’ carbon content and returns revenues to households as equal “dividends.” Her 25% allocation to clean energy tax credits can be seen as a pragmatic concession to business and job concerns that invariably arise in state-level carbon-pricing campaigning. 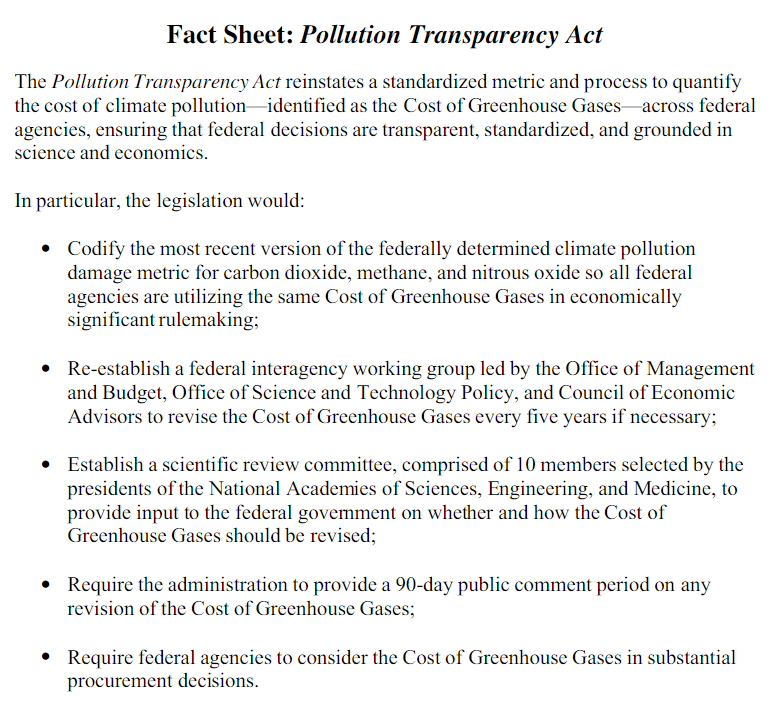 One of several tables from candidate Otto’s Web site deriving net benefits from her carbon dividend proposal. At a minimum, Otto’s campaign ensures that not just climate change but the idea of actually charging for carbon emissions will be front and center in next year’s Minnesota gubernatorial race. If she wins, however, her proposal still faces two potential hurdles: the state legislature and the Minnesota state constitution, whose Article 14, Section 10 could be interpreted as requiring that “excise taxes” on gasoline be paid into the state’s highway distribution fund (see discussion in CTC’s report, Opportunities for Carbon Taxing at the State Level, pp 91-92). 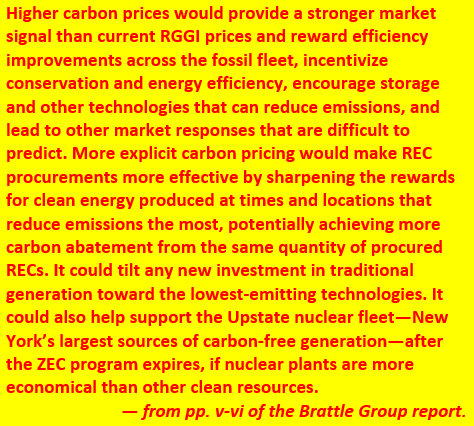 However, if the carbon price is construed otherwise, e.g., as a fee, Otto’s proposal could be in the clear. Carbon taxing isn’t something you expect to see mentioned in What Happened, Hillary Clinton’s memoir about losing the 2016 election to Donald Trump. But deep in the book’s weeds we find a telling new window into how Clinton “blew the biggest slam dunk in the history of American politics” (as one political pro vented to New Yorker editor David Remnick; expletive deleted here). Like so much with Clinton, this passage is strong on details and weak on vision. Clinton name-checked this book in her memoir but wouldn’t campaign on its ideas. Clinton is right that carbon dividend schemes will raise incomes of most working families. She is right that their gain will come at the expense of affluent families, whose carbon footprints are larger. Revenue distribution from a fixed revenue pie is, by its nature, zero-sum: what is disbursed to one class of recipients can’t be available to another. Of course, any policy that transfers wealth from rich to poor is by definition income-progressive, which puts carbon dividends squarely in the Democratic Party tradition of Roosevelt, Truman and Johnson. Climate benefits aside, carbon dividends’ distributional benefits make the policy a natural for progressives, as we pointed out last week in our post, The climate solution that boosts income for over 60% of Americans — the ones who most need it. But did Clinton’s policy team really “spend weeks” searching for the carbon-revenue equivalent of a perpetual motion machine — one that would diminish inequality without costing “affluent families” a dime? Doubtful. The impossibility would have been obvious in fifteen minutes, especially to her policy-smart husband. Besides, carbon dividends didn’t suddenly originate with James Baker et al. ; they’ve been a staple of carbon tax advocacy for nearly a decade. Their distributional impacts are well-established. Watching that debate, I imagined Americans who were tepid or worse on carbon taxing nonetheless admiring Sanders’ forthrightness. 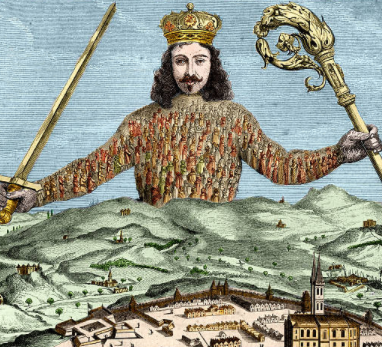 Some might even have been swept up with a new openness to the idea of carbon taxing. To be clear, failure to back carbon taxing isn’t why Hillary Clinton lost last November. But her inability to stand for something bold like carbon dividends was indicative of her incapacity to transcend policy details and connect them to a larger vision. And that arguably cost her the election every bit as much as Comey, Russia and the other usual suspects. * Page number from “What Happened” is approximate, as viewed on a Kindle. The conception and shape of this post benefited greatly from CTC supporter and blog contributor Rachael Sotos. Note that our original headline, “Hillary Clinton and the Missing Carbon Dividends,” has been changed. To view the latest census data on U.S. household incomes is to marvel at — and be appalled by — the unequal distribution of income in America. At the other end of the scale, the top 7 percent earning households — those with incomes of at least $200,000 — pulled in 27 percent of U.S. income last year. Note the symmetry: those at the top earn four times their pro rata share, while those in the broad bottom earn only one-fourth of theirs. Stark as these figures are, they don’t capture the full extent of the wealth gaps — the one between the rich and the middle class, and the other between the middle and the poor. These gaps accumulate over generations, as the New York Times noted this week in its trenchant dive into the data, Bump in U.S. Incomes Doesn’t Erase 50 Years of Pain. These disparities underlay Bernie Sanders’ “political revolution” campaign for the Democratic presidential nomination last year. And they added fuel to the sense of white grievance that energized Donald Trump’s successful run for the presidency. They also bolster the case for “carbon dividends” — the idea of distributing all or nearly all carbon tax revenues equally to U.S. households popularized as carbon fee and dividend by the non-partisan Citizens Climate Lobby (CCL), and more recently advanced by the Republican-led Climate Leadership Council (CLC) under the rubric of carbon dividends. Using incomes as a proxy for carbon emissions — a rough approximation but a reasonable one, given income-based differences not only in using electricity, gasoline and heating and aviation fuels but also carbon embodied in making and shipping consumer goods — we’ve used the census data to estimate that if all carbon revenues are returned to the public, nearly two-thirds (66 percent) of U.S. households will take in as much or more money in the form of carbon dividends as they would pay out in higher fuel and goods prices due to carbon taxes. Our figure jibes with the U.S. Treasury Department’s finding in its Jan. 2017 report, Methodology for Analyzing a Carbon Tax, that the lowest seven income deciles will be net beneficiaries of a carbon dividends plan (see Table 6) . Our estimate of the share of U.S. households that will be net beneficiaries under carbon diviends, 65.9 percent before rounding, is up slightly from our prior 65.1 percent “better off” finding based on 2012 incomes. Among those 65.9 percent, which encompass 83 million households, the average gain (carbon dividend netted by carbon tax expense) per $100 billion in total carbon revenue is $415 per year. While that net gain may seem small — just $8 per week — the revenue amount on which it’s based corresponds to a very modest carbon tax, around $23 per ton of CO2. A robust carbon tax that climbed to a level several times higher would generate correspondingly larger net dividends for the benefiting households. Moreover, the more indigent the household, the greater its estimated net gain. 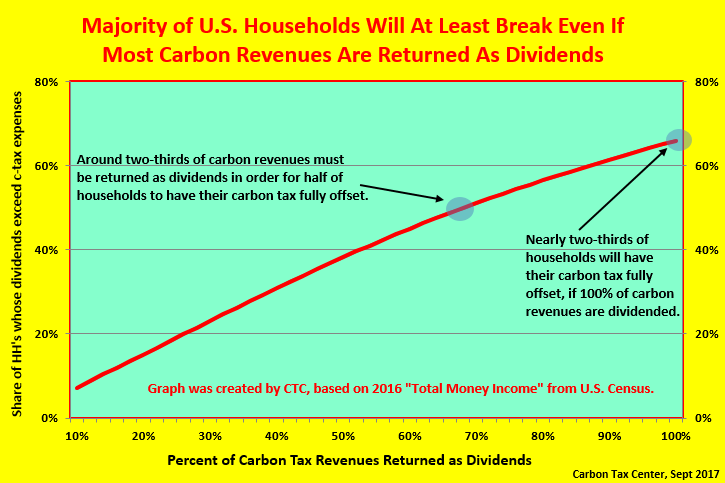 The ability of carbon dividends to lift incomes of the bottom half or more of U.S. households creates a conundrum for the climate movement, especially now that Republicans, who traditionally align with capital and wealth, are beginning to sign up for carbon dividend proposals. The progenitors of CLC’s carbon dividend plan, James Baker and George Shultz, are “exemplars of the outcast center-right GOP establishment,” as I described them recently in the Washington Spectator. At least as impressively, 28 current GOP U.S. House members have joined CCL’s Climate Solutions Caucus and thus signaled their possible openness to a carbon fee that reserves carbon revenues for dividends instead of applying them to cut corporate income taxes. Yet many on the left are insisting that carbon revenues, or at least a large share of them, be invested in government-administered or financed clean-energy development and transportation infrastructure, especially in so-called frontline communities. Because each dollar of carbon revenue can’t be spent twice, the competing demands of carbon dividends vs. “just transition” proposals threaten to divide the climate movement — as they already did in last fall’s divisive I-732 carbon-tax referendum in Washington state, which I reported this past winter in The Nation magazine. Ironically, it’s possible (indeed, I believe it’s likely) that allocating carbon revenues to dividends would more reliably benefit low-income families more than would spending the revenues on sustainable energy and transportation. Considering further that revenue-neutral dividend approaches might eventually garner meaningful support from some Republicans, it seems self-defeating for left-leaning or other climate advocates to reject them out of hand. 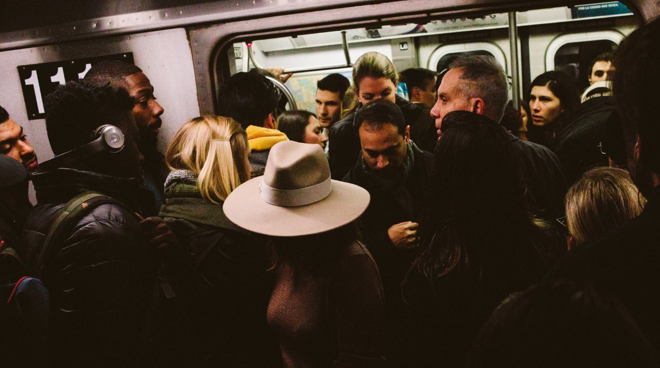 For our part, CTC supports any viable carbon tax proposal, revenue-neutral or not, provided it would not demonstrably exacerbate economic inequality or other social injustice. Thus far we have refrained from endorsing the American Opportunity Carbon Fee Act introduced in July by U.S. Senators Sheldon Whitehouse (D-RI) and Brian Schatz (D-HI), pending analysis of the regressive aspects of its proposed tax swap to reduce the corporate tax rate to 29 percent, from 35 percent, among other provisions. That said, crunch time is coming for carbon dividend apostles. If the late summer hurricanes that have ravaged southeast Texas, Caribbean nations and much of Florida won’t induce Republican office-holders to spurn their party’s denialist orthodoxy and embrace revenue-neutral carbon taxing, it’s fair to ask if they’ll ever push for genuine climate solutions. 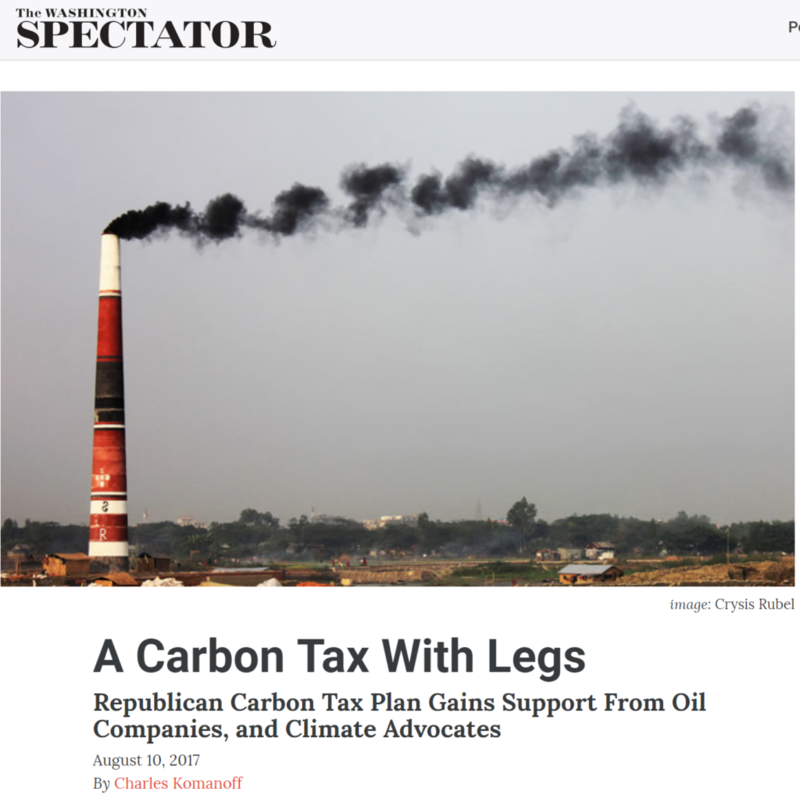 Here we cross-post my article published in The Washington Spectator magazine yesterday, under the headline, A Carbon Tax With Legs. Except for a handful of line edits below, the two versions are the same. For years, carbon tax advocates scoffed at the notion that Exxon-Mobil would back a tax on climate-damaging carbon pollution. We saw through the vague hypotheticals in which the oil giant cloaked its occasional expressions of support. Rather than invest political muscle in carbon tax legislation, Exxon for decades funded a network of deception that blocked meaningful action on climate. So why are we taking notice that this past June Exxon formally endorsed a so-called Republican carbon tax plan? And why am I not up in arms that the plan entails granting Exxon and other fossil fuel owners immunity from legal damages for the climate havoc caused by extracting and burning these fuels? It comes down to two reasons. First, there’s little chance that oil, coal, and gas companies could ever be made to pay more than token amounts for the ruin their products cause. Second, though bankrupting big oil may seem appetizing, it’s a distraction from the real goal of “demand destruction” — shrinking and eliminating the use of carbon-based fuels. The fastest path to that goal is through a robust carbon tax that manifests the harms caused by those fuels in the prices the marketplace sets for oil, coal, and gas, as the new proposal would do. The carbon tax plan is dubbed “Republican” because its public faces are those of George Shultz and James Baker, exemplars of the outcast center-right GOP establishment. Two factors set this plan apart from current Republican orthodoxy. First, the Shultz-Baker tax is no slouch. It would start at $40 per ton of carbon dioxide and rise from there, putting it miles above anything floated by oil companies or Republican officeholders. The price is high enough not only to nail the coffin on coal, by far the dirtiest fossil fuel, but also to put a serious dent in oil usage. After a decade, according to my modeling, U.S. carbon emissions would be 27 percent less than last year and 36 percent less than in 2005, the standard baseline year in climate analysis. Second is the equitable distribution of the carbon tax proceeds. They would be disbursed to American families as “dividends,” with equal revenue slices for all. 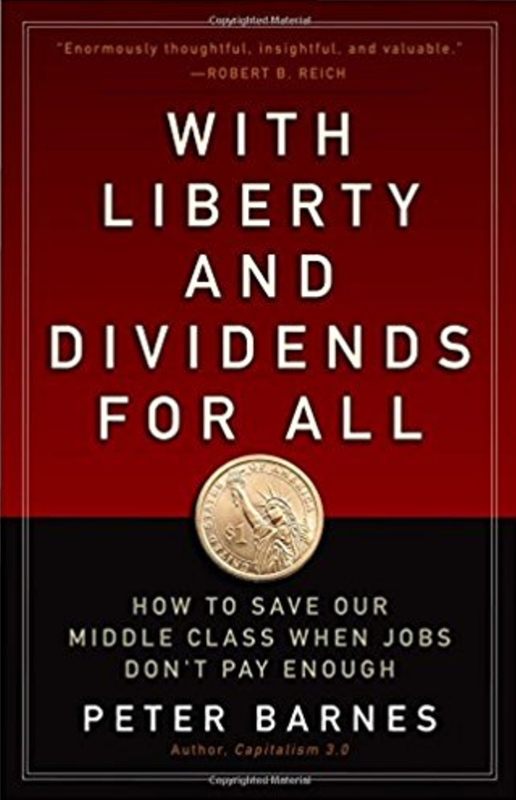 This approach is not only income-progressive, making it a black swan among Republican policy ideas; it also buys support for raising the tax level over time, since the dividends would rise in tandem. The Shultz-Baker tax may actually have political legs. While the current White House and Congress are tribally bound to vilify anything smacking of Al Gore or Barack Obama, the 2018 midterms and the 2020 presidential election could bring a reckoning on climate policy. 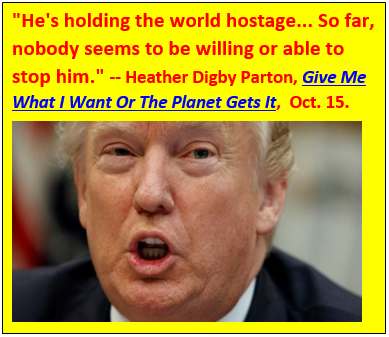 With a majority of Americans in a recent poll calling climate change “extremely or very important” to them personally, Republicans may soon be seeking an escape hatch. Three attributes in the Shultz-Baker proposal meant to win over the center-right are anathema to progressive elements in the climate movement. We can call them: no investment, no regulation, and no litigation. “No investment” means dedicating the carbon revenues to the dividend checks, leaving none for government to construct carbon-free energy and transportation systems or to remediate the “frontline” communities most ravaged by fossil fuel infrastructure. Yet economists are convinced that the price-pull of the carbon tax will bring about this transition. “No regulation” means rescinding EPA climate rules, principally the Obama-era Clean Power Plan prized by environmental powerhouses like the Sierra Club. But the Clean Power Plan is nearly “mission accomplished”: its target is already four-fifths met (and rising) as coal-fired electricity production is eaten away by natural gas, rising wind and solar power, and energy efficiency. So is the promised carbon tax large (and solid) enough to justify dealing away the triad of litigation, investment, and regulation? My colleagues and I at the Carbon Tax Center believe it is. The proposal is gathering steam. Not just Exxon but a dozen other corporations, including General Motors, Procter & Gamble, Unilever, Pepsico, and three other oil companies (Shell, BP, and Total) formally endorsed the plan in June, along with the Nature Conservancy and the World Resources Institute. The political path for the Shultz-Baker carbon tax, not much wider than a human hair when it was launched last winter, is broadening rapidly. 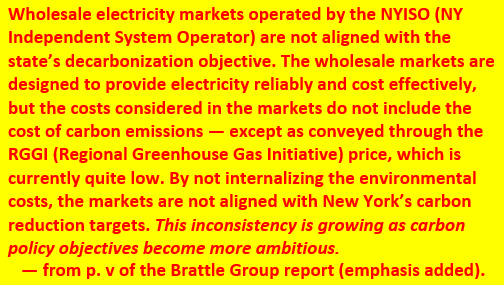 Charles Komanoff, an economist, directs the Carbon Tax Center in New York City.